Is terrorism softening European attitudes toward Israel? The statement by EU foreign relations chief Federica Mogherini was “a typical EU reaction, which blames the victim for getting attacked,” Oded Eran, a former ambassador of Israel to the European Union and a senior research fellow at the Institute for National Security Studies, said at the time. Two years later, however, European officials had a much different reaction to a similar attack in eastern Jerusalem, which killed four Israeli soldiers. “The European Union condemns the murder of these four young Israelis, as well as any praise or incitement for terrorist acts,” Brussels said in a statement, which unlike the 2014 communiqué omitted any reference to the fact that the attack happened in an area of Jerusalem that it considers occupied. 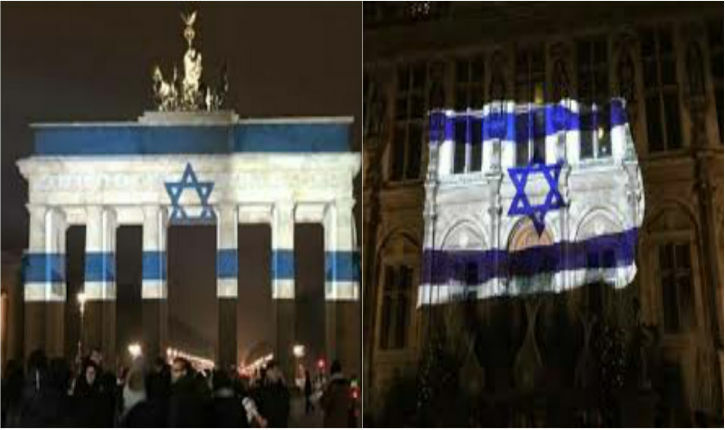 Unusually, following the attack the Israeli flag was projected on the Brandenburg Gate in Berlin and Paris City Hall, signs of solidarity with the Jewish state permitted by local authorities. Rotterdam City Hall flew the Israeli flag at half-mast. 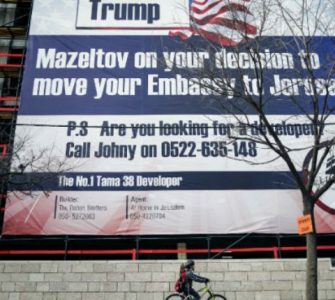 To Eran and other observers of Israeli-EU relations, this change in tune is indicative of greater understanding and empathy in Europe to Israel’s fight against terrorism following a wave of terrorist attacks on the continent beginning in 2012. “I think it’s a new development that sincerely stems from the change in the mind of many people in Europe, in government and beyond, who now understand better than a few years ago the impact and influence of terrorism on the daily lives of innocent victims,” Eran told JTA. Last month, a terrorist whom the Islamic State terrorist group described as its “soldier” killed 11 people, including one Israeli tourist, at a Berlin Christmas market by plowing a stolen truck through the crowd. In July, a similar attack claimed over 80 lives in Nice, France. Days later, an Afghan man injured four people with an axe on a train in southern Germany. Following the Berlin attack, German President Joachim Gauck said as much in a reply he sent to a condolence message from Gauck’s Israeli counterpart, Reuven Rivlin. “You and your country are in a position to understand fully what being threatened by terrorism means for a people and a nation because in your country it has become almost a daily phenomenon. We know that you can feel with us and commiserate,” Gauck said. 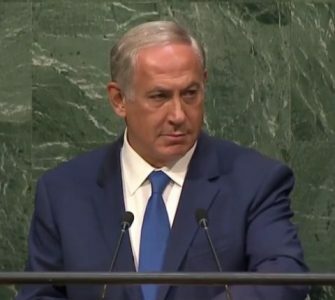 “We all find ourselves facing the same terror, from Nice through Berlin to Jerusalem, but together we will stand against evil, and we will prevail,” he wrote. On Twitter, the German Foreign Ministry shared a picture of the projection, stating it was “in solidarity with Israel.” Paris Mayor Anne Hidalgo, by contrast, described the gesture in her city merely as a “tribute to the victims of the attack” in Jerusalem. 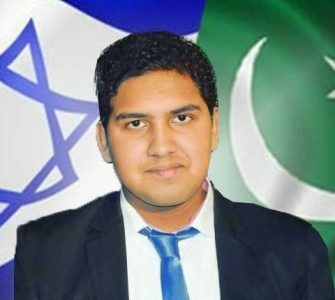 Muna Duzdar, an Austrian state secretary, insisted in an interview with JTA that “Europe always understood that Israel has a right to defend itself and have security,” and that greater empathy in Europe for terror victims extends not just to Israel but also to victims around the world. “This attack targeted human beings, and as far as I understand it was a jihadist who did that, whose intention was to attack people,” she said. In Belgium, the firebrand anti-Israel columnist Dyab Abou Jahjah, who for years justified violence against Israelis and Americans in the pages of the De Standaard daily, was fired for defending the Jerusalem attack on social media. “An attack on occupation soldiers in occupied territory is not terrorism! It is an act of Resistance. #FreePalestine,” Abou Jahjah wrote. In a statement, De Standaard editor-in-chief Karel Verhoeven wrote that Abou Jahjah “has placed himself beyond the borders of acceptable debate” by endorsing violence. 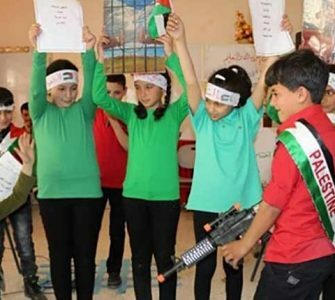 “These gestures are heartwarming and indicative of a positive change, but there is a clear distinction between empathy and policy in the corridors of the European Union, which is likely to remain as critical as ever of Israeli settlements and continue to oppose them on every international arena,” he said.